Confirmed on 27/12/2018 by Emmanuel: smoking area available near gate A7’s entrance. It’s not indicated in the airport but asking the staff lead me there. Just to confirm, the smoking area at the non-Schengen gates including Ireland and UK flights open (updated 23/03/2018. It’s to the right of Starbucks beside the La Tarte Tropézienne café.) Feedback from Philip. There is smoking area after Non-Schengen Security in Terminal 1 . It is small room next to Starbucks Coffee. Photo and info below provided by Daniel S. 3rd September 2017. 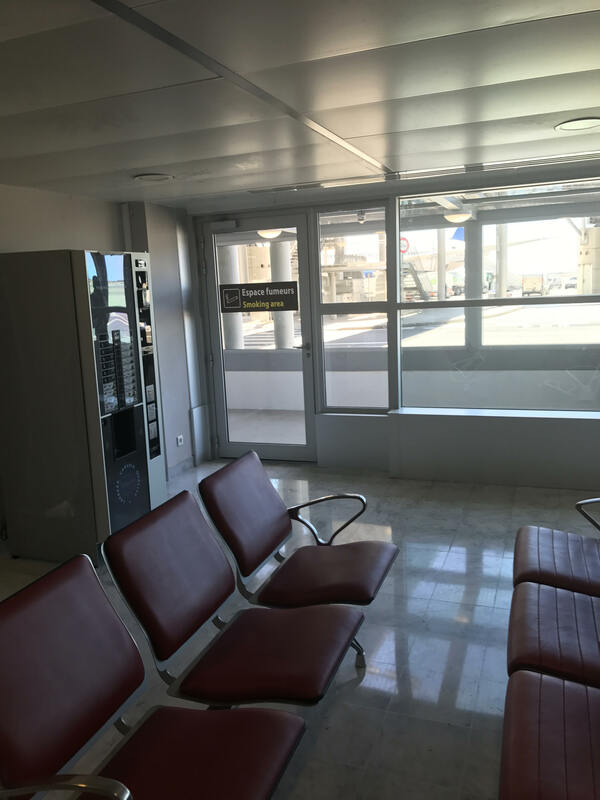 Smoking room available airside in Non-Schengen area of Nice airport close to Gate 42, past Starbucks. Last used on 1st Sept 2017. Feedback from Claire. Smoking area at Nice Airport Terminal 2. On lower level next to gate B30. Feedback and photo (below) from Steve L., 17th July 2017. 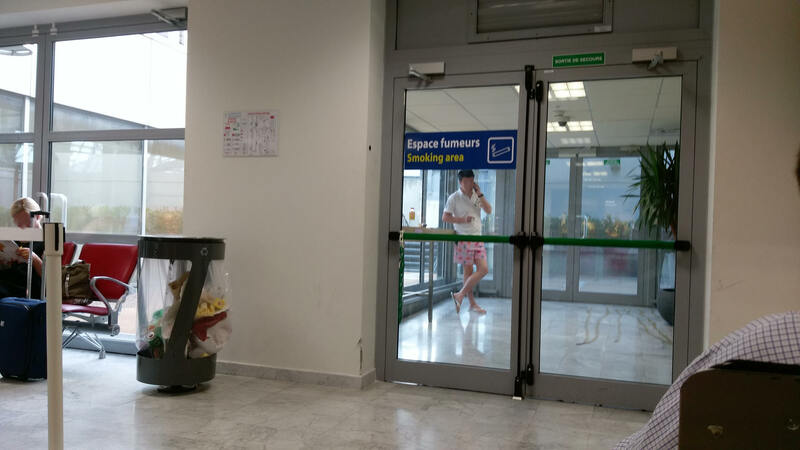 For connecting flights may need to enter France and smoke outside terminal then go through Security again for your flight. Terminal 1. Smoking area near Starbucks. Terminal 2. On lower level next to gate B30.